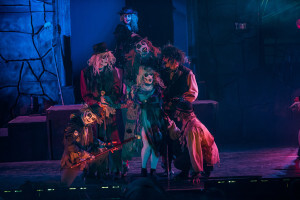 JACKSON, NJ—September 8, 2015—Six Flags Great Adventure promises its biggest, scariest Fright Fest® in history this fall with 22 Halloween-themed attractions including three new haunts and four new shows. 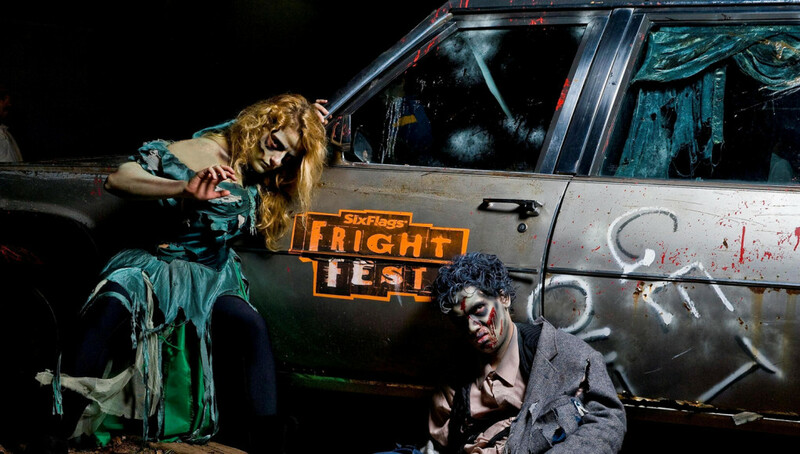 The seven-week festival that features family-friendly Thrills by Day and a zombie-filled Fright by Night begins Sept. 19 and runs weekends through Nov. 1 and includes admission to some of the world’s best and most terrifying thrill rides. 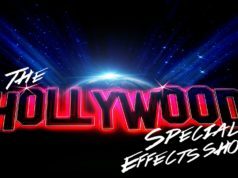 By day, families can enjoy the new Spooky, Kooky Magic Show featuring the zany Doc Swan, and Just My Rottin’ Luck, a new comedic juggling and magic show. 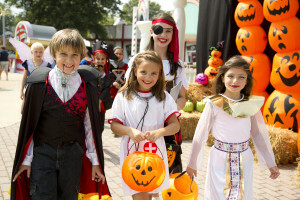 Back by popular demand, children under 12 can gather sweet treats in the Trick-or-Treat Trail and join in the fun at the Spooktacular Street Party. 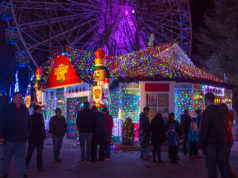 Families can also experience the park’s famous line-up of thrills for all ages, including the Safari Off Road Adventure, SkyScreamer, Skull Mountain and more. 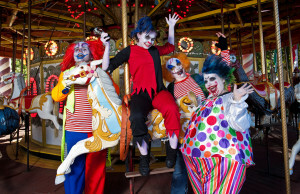 Big Top Terror 3-D – This new, indoor haunted maze transports guests to a forgotten carnival trapped in the netherworld, where freaks and inbred horrors need fresh, new souls to escape. This 3-D, in-your-face adventure blurs the line between reality and imagination. Demon District – Ugly, twisted villains have seized control in this new scare zone. Guests must make their way through a blanket of fog, laser lights and demons running amok. Blood Shed – This new terror trail features half-human, half-pig mutants in a backwoods adventure through a gory slaughter farm. Hypnosteria – Comic hypnotist Denny More takes guests on a journey of the mind into the realm of ridiculous with side-splitting laughter and hilarious antics. Doc Swan’s Sideshow of Oddities – Magician, illusionist and freak show master Doc Swan thrills and awes audiences with amazing feats of skill and superhuman strength. Bad Bob the Bone Butcher – Guest can journey to the Wild West where a bumbling sheriff and his deputy try to defeat the evil Bad Bob. 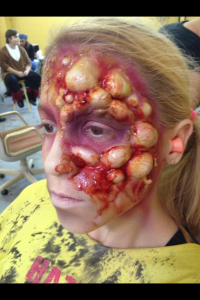 All scare zones and monstertainment are included with park admission. Terror trails and haunted houses require an additional fee. Fright by Night is not recommended for children under 12 and those who scare easily. 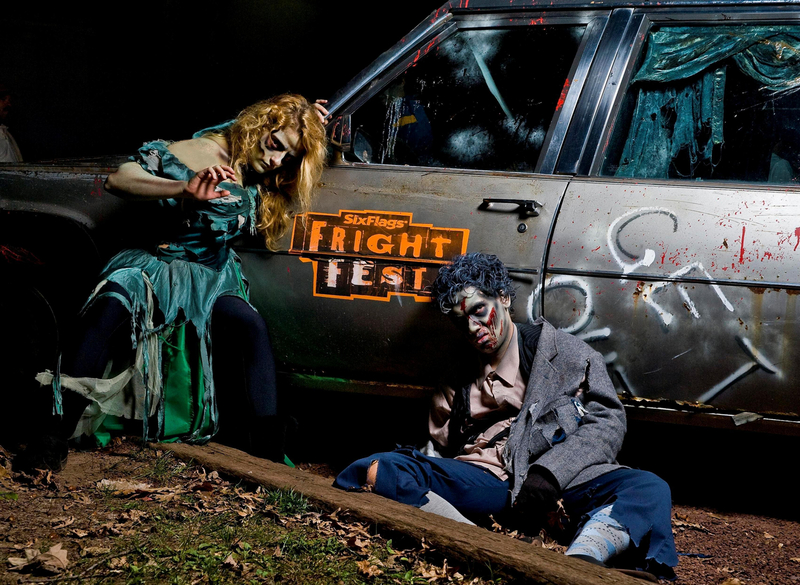 On Sept. 19, Six Flags hosts the Central Jersey Blood Center for its annual Fright Fest Blood Drive. 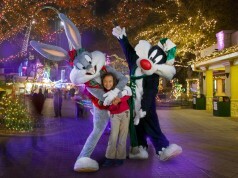 Guests can donate a pint of blood to earn a free ticket to Fright Fest between 8 a.m. and 3:30 p.m. Reservations must be made by visiting www.sixflags.com/greatadventure on the Events tab. Up to 200 donors are needed and will be taken on a first call, first serve basis. Donors must be 16 years of age or older, at least 110 lbs. and in good health to donate. Six Flags Great Adventure will host the 9th annual Susan G. Komen Race for the Cure Oct. 4 – New Jersey’s largest 5k run/walk. The day honors breast cancer survivors, those lost, and unites a community in the fight against breast cancer. In 2014, approximately 10,000 participants and spectators turned out to support the Race for the Cure.